When someone wants to give you access to a Cisco VPN, they might give you a .mobileconfig file. This is apparently used by MacOS and iOS to encapsulate the configuration parameters needed to connect to a VPN. 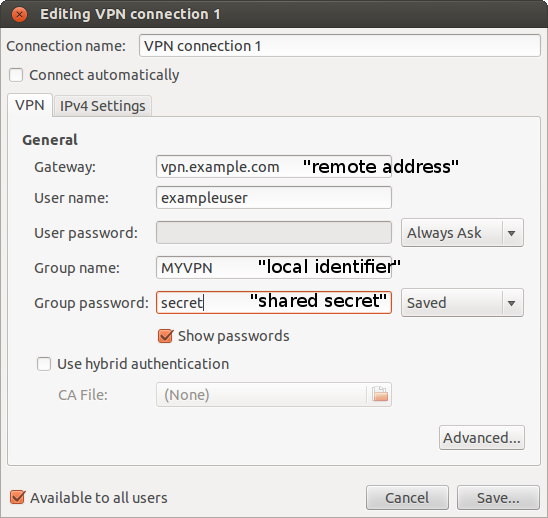 You should be able to connect to it with open source software (such as NetworkManager and vpnc) as long as you have the right configuration. Some helpful soul has tried to give you that configuration, but it’s wrapped up in an Apple-specific container. Here’s how you rip it open and get the goodies.